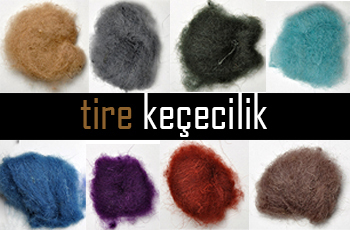 The felt scarf is a mixture of blue felt and patterned silk fabric and was produced by Tire Keçecilik. 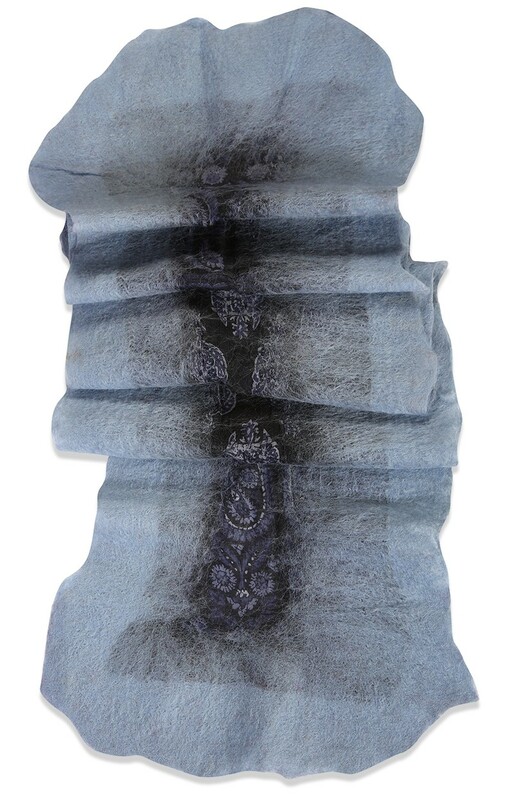 Regarding the production of the felt scarf which we warmly swath in during the winter time, firstly, the lamb’s wool is cleaned, washed and died. The wool is laid on matting, fabric is laid over it and another wool layer is laid. Water is sprinkled over the product, the matting is wrapped and scrubbed. The wrapped matting is opened, all the inconveniences are corrected, boiled soapy water is sprinkled on the material and wrapped and scrubbed once more. 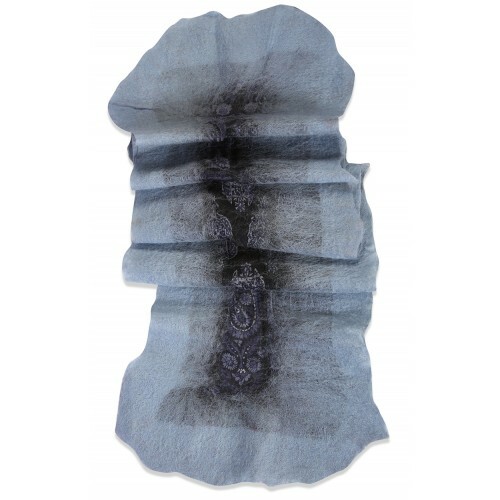 The product left to mature for half an hour is again washed with soapy water and is left to dry.